Brendan Gibbons | Brendan Gibbons Company is Main Line landscape contractor with experience in landscape design, lawn care, horticulture installation, and garden care. 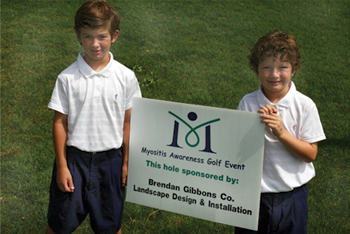 Thank you for supporting the Myositis Association. Donations such as yours allow us to continue expanding and improving the programs and services we offer those battling myotisis.